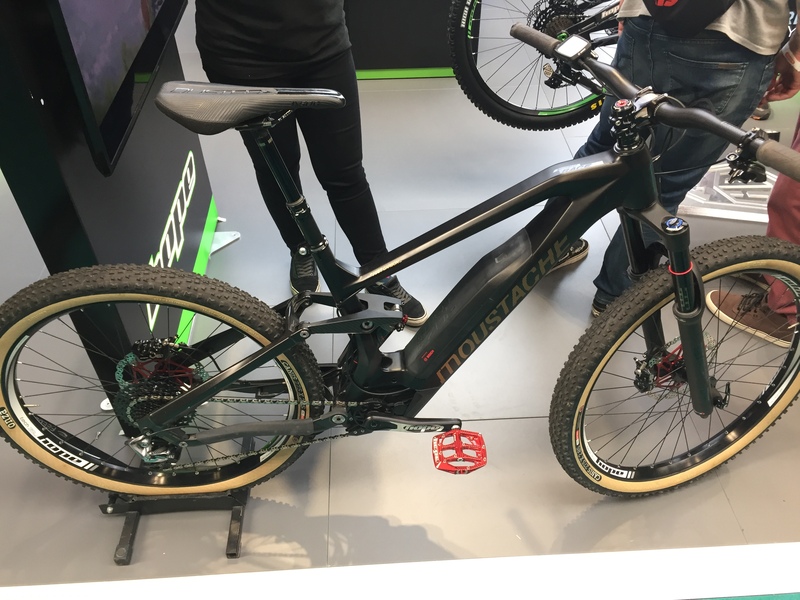 We were quite surprised just how much e-bike P&A was on offer at the Cycle Show, so here’s a little more of what we found. 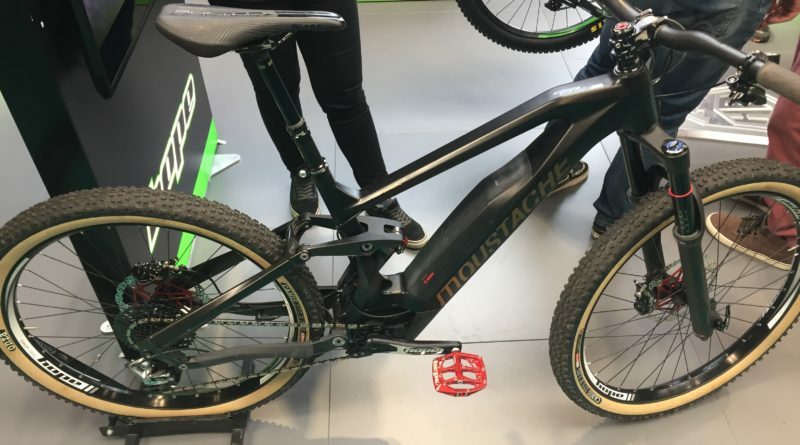 In the ‘favoured by e-bikers’ line (as opposed to e-bike specific), we found several new products coming soon from Hope manufacturing, who were proudly displaying this Hope equipped Moustache e-bike on their stand. 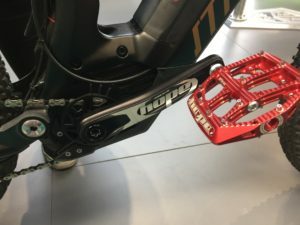 These V6 calipers combined with Tech 3 will make for fast stopping when they come out in spring 2019. We were told they should be under the £300 mark for a pair. 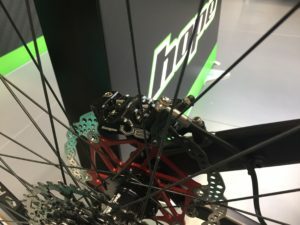 We also saw spider-less cranks which will have 165, 170, 175 lengths and be compatible with Bosch and other e-bike spline systems. Retail is expected to be around £235 but a specific availability date has not yet been confirmed. 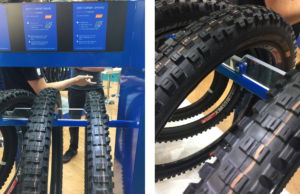 New to the range is the Eddy Current e-bike specific MTB tyre featuring 20% bigger tread block for maximum power transmission with high durability. Made with a tough carcass construction with a stiffer sidewall it uses Apex fabric – a softer compound version with higher grip is also available. They’re in stock now with Schwalbe and available through their 18 UK distributors. 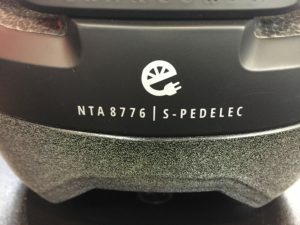 The brand also has a specific e-bike section in their catalogue with over 20 E-bike rated options, these are also rounded up neatly online here. Fitted OEM and paired only with Bosch motors the E14 Speedhub system is designed for long lasting low maintenance on the sort of e-bikes which might take you trekking across Europe. It features some clever programming such as single or triple gear shifts, as well as Auto-Downshift to select the lowest gear when stationary and has an Android for connectivity/software updates. 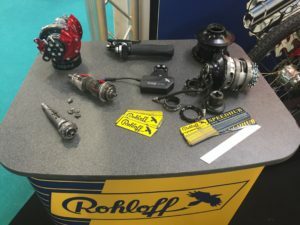 “Conformity and type regulations can a problem for dealers generally” commented Stewart Sabik from Rohloff UK. 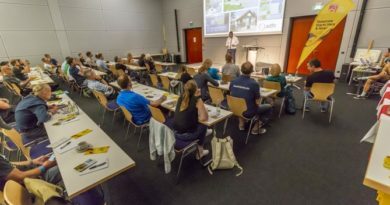 “You have to look at e-bikes as more like vehicles than bicycles, go back to the dealer, like a VW or Ferrari”. 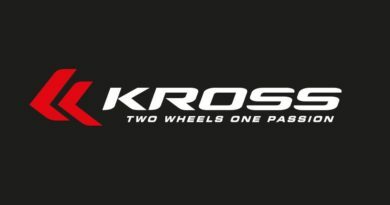 Rohloff spares and support are available through four UK Service Partners: Ison, SJS-Thorn, Keypedalling and Ghyllside Cycles. 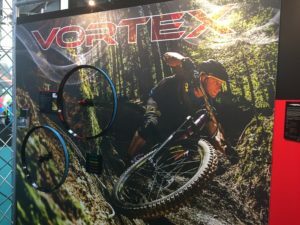 Although not an e-bike specific wheelset, Halo’s Vortex and Vapour wheel-sets have been popular with e-bikers. With 120 picks ups in the rear hub it has that instant engagement which many e-bikers prize. 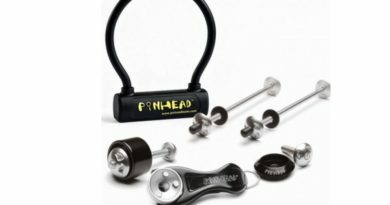 And with a steel freehub, it should prove a long lasting option on the maintenance front. Available in a variety of widths from 33mm right up to Fat Bike, they also support a wide range of front and rear axle standards. 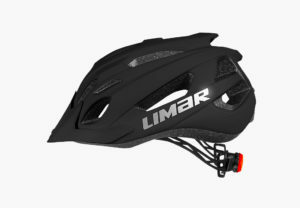 UK Distributor for Limar, NRG4, pointed us to a couple of helmets in their range which comply with NTA 8776. 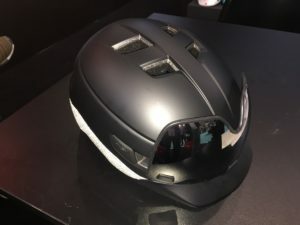 First off, the £61.99 URBE which features reflective elements on the sides providing higher visibility at junctions, then there’s also a rear safety LED light included. It has great ventilation for all e-bike activities, in-mould technology granting total protection and a high level comfort thanks to the reduced weight and size adjusting system. 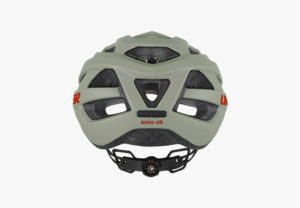 This lower priced £55.99 helmet is available in two sizes and six colours. Again it’s made using In-mould technology and has plenty of ventilation and bug net for insect protection. 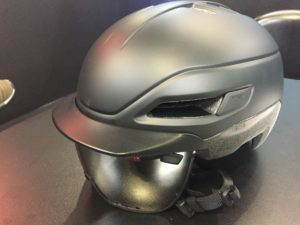 The Italian manufacturer has a taken a modular approach to making up your perfect e-bike lid. 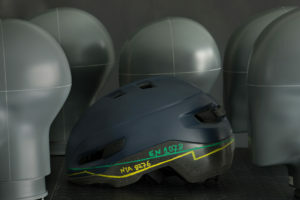 The NTA 8776 approved Grancorsa retails for £125 and is available in five colours and three sizes. It features magnetic closure chin-strap, peak and large areas of high visibility finish (see RH pic with flash on) as standard. Available in stock now, MET is represented by a team of sales agents covering the whole of the UK.